To guarantee space, reservations should be made ahead of time especially on holidays and during the summer months. 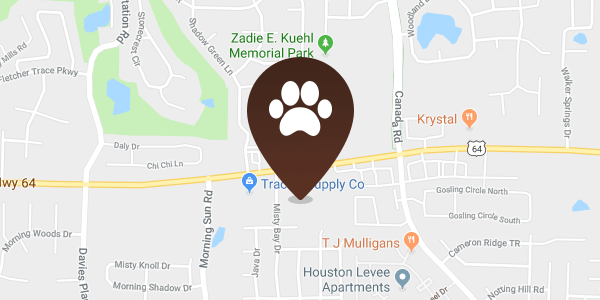 Please drop your pet off before 5:30pm Monday-Friday and 11:30am on Saturday, which will allow some time for you to fill out important paperwork about your pet, as well as allow us to get your pet settled in for their stay. You have the options of your pet staying in one of our Suites (Indoor Run) or Deluxe Suites (Indoor/Outdoor Run). Cats have their own facilities away from the dogs. Rates are based upon the type of accommodation selected and charged on a nightly basis. Pets who share a Suite, Deluxe Suite, or Cat Condo receive a reduced rate. Please feel free to ask about our rates. Pets can be checked in or out Monday-Friday 7:00AM - 5:30PM and Saturday 7:00AM - 11:30AM. At check-in we will ask you to fill out a boarding information form to provide us with information so we can make your pet's stay as comfortable as possible. There is no check in or check out of boarders on holidays or Sundays. Holidays are Memorial Day, July 4th, Labor Day, Thanksgiving, Christmas and New Year's Day. It is understood that all pets boarding will be current on vaccinations. In the case where these are not current, we can vaccinate your pet(s) while they are staying with us. In order to maintain a "flea-free" facility, we give each pet an oral flea tablet upon arrival for a minimal fee. We recommend bringing your own food so that your pet stays on the same diet. However we do offer Hill's Science Diet Sensitive Stomach to our boarding guests at no additional charge. We will feed your pet according to your feeding schedule. 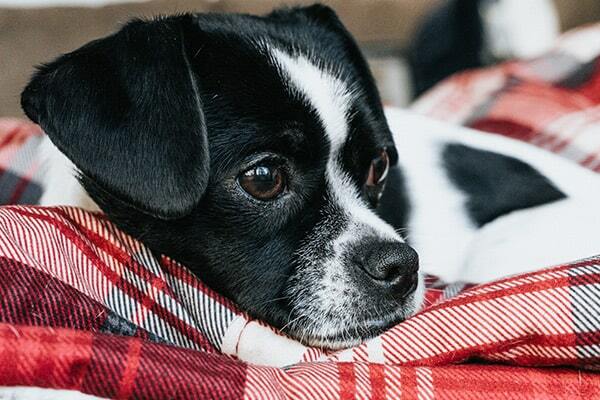 Toys, blankets, or beds are welcomed, however, please limit the number of blankets/beds to 1 per pet. All items left with your pet are returned as is. Please be aware that boarding can be stressful for some pets. It is not uncommon for your pets belongings to be torn up while here. We recommend having your pets bathed before picking up, so they return home fresh and clean! We offer a free “exit bath” for pets that stay 7 nights or longer. You can request this service on the boarding information sheet at check-in. Please note that due to high demand, grooming is performed by appointment only. If you would like for your pet to be groomed while boarding, the appointment should be made as far in advance as possible, in order to ensure availability. We will gladly administer any medications your pet may need. A daily dispensing fee applies. If your pet should become ill while boarding, we will attempt to contact you, but if we can't get in touch with you, then we will begin treatment based on our Veterinarian's discretion and at your expense. We take the utmost pride in the cleanliness of our facility. All kennels are cleaned several times a day. We use pet safe disinfectants throughout our facility. 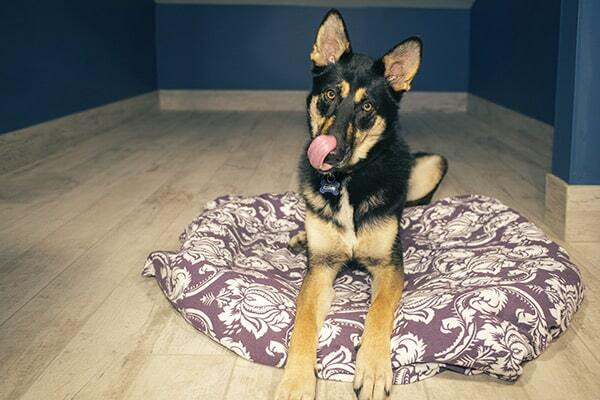 We will furnish your pet with bedding if you forgot to bring yours at no additional charge. We walk and play with your pets on a frequent basis, at least three times daily. We have a grassy, fenced back yard where they are able to exercise. We use close-circuit security cameras throughout the property and provide security and fire monitoring 24 hours a day for safety.